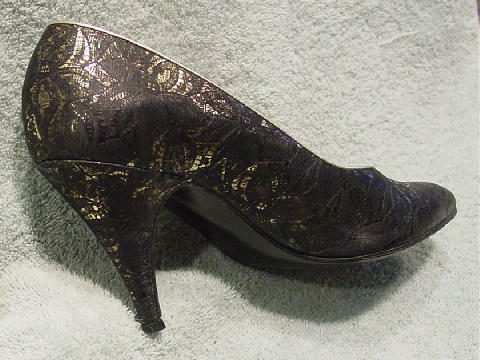 These elegant leather with a textured design overlay pumps have a tone-on-tone black and gold-tone surface. The gold is visible depending on how the light hits it. There is a gold lame mini cord trim around the opening. 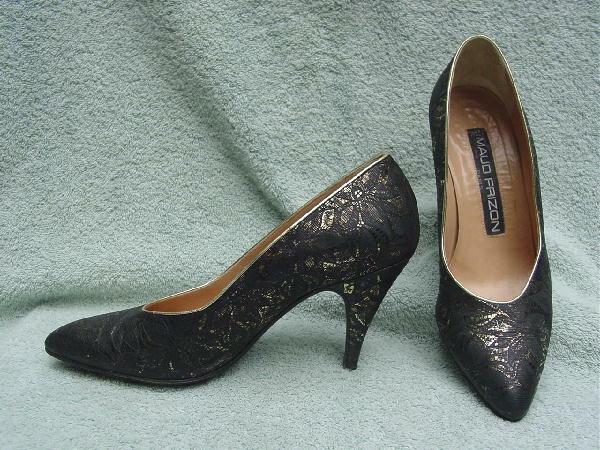 They have tan leather linings and insoles and pointed toes. They're well made and quite striking and look better in person. They also have new heels.